Our new Food Forest DVD is almost complete. We’ll let you know as soon as this is finalised and available for sale, but in the meantime, here’s another teaser (see previous promo) – this time with Geoff walking amongst the great food diversity to be found in the kitchen garden at Zaytuna Farm, host site of The Permaculture Research Institute of Australia. I want to order the two DVDs (Water Harvesting and Establishing a Food Forest) but I don’t have a paypal account. I would like to use cash or money order, if you accept it. That’s what I’m familiar with and comfortable with. Can I send my order through regular mail? Can I send it over Western Union or Money Gram? Hi Rehema – you pay via credit card without having to log into Paypal. See ‘Note’ number two on the store’s main page. 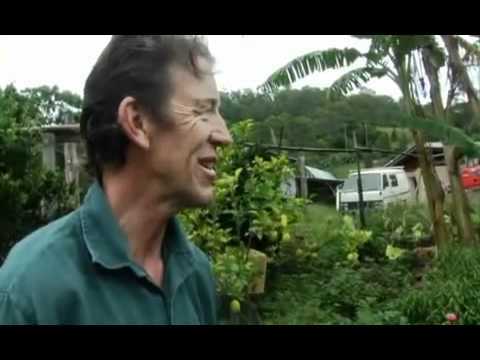 I have watched Establishing a Food Forest, I would very much like to see more information on “establishing a kitchen garden” the permaculture way.